In the past two decades, fungal biotechnology has progressed at a fast pace. 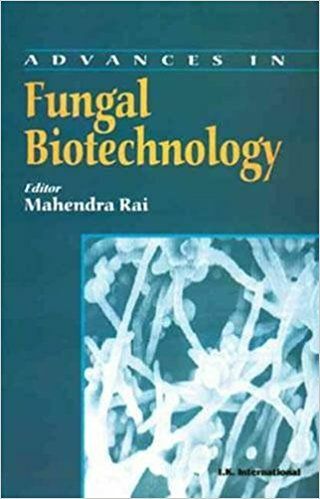 Advances in Fungal Biotechnology provides coverage of these advances, and of the multiple roles played by fungi. This includes the industrial applications of fungi for the production of pigments, citric acid and vitamins, the beneficial effects of mycorrhizal fungi, mycoviruses, and biotransformation.Key features: Focuses on Biocontrol strategies of fungi.Deals with the role of fungal enzymesxylanases and laccases.Discusses mycoviruses as an emerging tool for controlling pathogenic fungi.Incorporates industrial applications, such as the production of pigments, citric acid and vitamins.Addresses biotransformation by fungi.Illustrates the role of mycorrhizal fungi in revegetation programmes.Covers health implications (allergy, mycotoxins, tinea infections).Examines the role of the internet in Mycology.